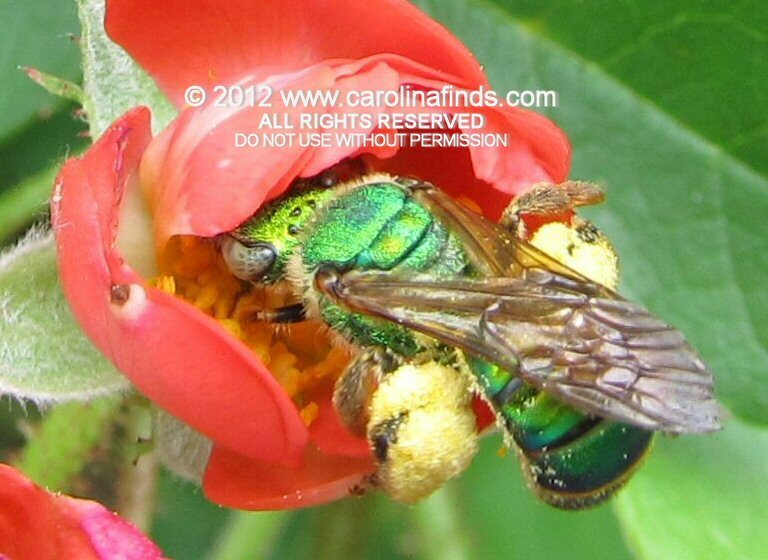 I’d hoped to catch a photo of some bumblebees but instead came across this beautiful metallic green bee, about the size of a honeybee or slightly larger. I don’t know for sure what species it is, but possibly Agapostermom Sericeus. I’ve seen similar creatures, but I don’t recall ever seeing one quite this large.